AA safaris and tours, Uganda and Rwanda Safari experts is a factual African tour operator. Our company prepares tours and holidays in the pearl of Africa and also in other East African Countries. AA safaris and tours developed from Africa, and are well versed with the gorgeous points of Uganda and beyond, prepare several tours through out the country and we are all set to drive you through Uganda on your visionary Vacation Holiday. AA SAFARIS AND TOURS offers a true experience of EAST AFRICA with an independent Ugandan based Tour and Travel Company and an agency in the United Kingdom. We are fully registered and licensed in Uganda and a member of The Uganda Association of Travel Agents ( TUGATA Number 131) therefore dedicated to abide by the clients / travelers’ protecting rules and regulations of this Association and the Uganda Tour and travel industry at large. We live to provide professional travel guidance for business and leisure travelers. AA safaris and Tours Limited takes you to a multiplicity of tour and Uganda safari sites or Destinations in Uganda, Rwanda , Kenya and Tanzania and also offer global airline ticketing and route planning on Request. We are listed on the Uganda Tourism Association website as one of the Credible tour companies in Uganda. Our TUGATA license number is 131. Uganda Tourism Association is an umbrella body responsible for tour operators, hoteliers and other service providers in Uganda. Tourism Uganda is the official legal body responsible for the promotion of Tourism in Uganda, We are listed under the section of tour operators as a recognized and credible safari company in Uganda. Africa Tour Operators has ranked us one of the best companies in Uganda. Our specialty in adventure travel, gorilla trekking, primate viewing and wildlife safaris over many years is what makes us best. 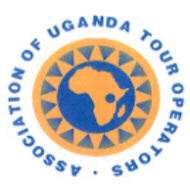 We are also members of the Association of the Uganda Tour Operators (AUTO) and abide by the laws that govern handling tourists and protecting their rights. We have good reviews on forums such as Lonely Planet, Trip Advisor and so much more. Our expeditions are designed with a strapping, stunning out-of-doors and African cultural touch . Whether you are interested in a gorilla tour in Bwindi Uganda or Volcanoes NP Rwanda, mountain climbing on the Ruwenzori Mountain, the stunning lushness of Uganda National Parks Murchison Falls Np being the largest , Agro tours to explore the few left organic foods in the world, Masai Mara and the Serengeti- Ngorongoro migrations tours, Dianne fossey trek, golden Monkey trekking, the Shoe Bill stork search, AA Safaris and Tours Ltd lives to tailor make a tour to your budget , time frame and any other interests to suit your demand. We provide hope- on- hope -off safaris to travelers that spend a few days relaxing or being paid into solemn outdoor Africa experience in mountain walking/climbing, white water rafting, Kampala City tour , chimpanzee trekking, Gorilla trekking , bird watching , game drives, crator walking on the Ngorongoro, horse riding in Jinja to mention but a few. 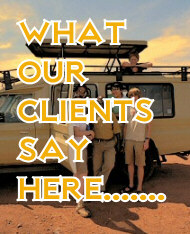 We encompass a ‘lone of all strategy’ to make sure clients’ itineraries features the best item of your interest . We also do hotel bookings for hotels in Uganda and Rwanda as well as vehicle hire. We arrange group tours in Uganda , Rwanda , Kenya and Tanzania that range from gorillas tours, Masai mara tours and you can always inquire about the schedules if you cannot find them on our web site. Our tour vehicles range from 4×4 6 seater safari land cruisers with a pop up roof ideal for game viewing , 4×4 safari omni vans with pop up roofs and a 4×4 over land truck . And provided they are available at the premises , since a the AA safaris and tours client is the Boss, the choice is yours to choose which one you should travel depending on your budget. They are always in a perfect condition to enable the traveler on holiday have a comfortable African Holiday . We also do car hire services and have saloon cars , Toyota land cruisers , Rav 4s, Vans, and Coasta buses for hire. Read more about our vehicles ..
We stand for all hotels in Uganda or Rwanda. Whether you need a hotel in Kampala, Gulu Mbarara , Kigali , Nairobi , Arusha or plan a conference and have no idea of where to start , just contact us and you will get an instant reply . Our staff members provide a communal knowledge of many decades in the Tourism Sector professionally and offer a wealth of skills and information to help you generate a safe, contented and pleasant trip in Africa . Whether you work with our administrators, tours managers, tours leader, tour guides , tour reservations agent and any other staff, you are guaranteed efficiency , professionalism , good communication skills and customer care from our Educated staff. WHY BOOK A GORILLA TOURS / SAFARI WITH AA SAFARIS AND TOURS LTD? For Utmost liveliness and enjoyment , we encourage our clients to travel in Small groups and ensure that each client on holiday in Africa with us has a window seat. On confirmation of your tour or safari booking , before you make the deposit , we ensure that we tentatively reserve your gorilla permits , chimpanzee or make any other reservations that require urgent booking and give you 24 hours to make the next step of deposit payment . This is advantageous in a way that it helps us avoid embarrassments from clients that may pay for their tours when the , gorilla permits , accommodation and any other safari activities required are fully sold out. In other words we guarantee availability when we confirm your tour. We tailor our tours to our clients needs. The itineraries on our web sites are just sample itineraries so come with your sites of interest and we will suggest a suitable itinerary at the cheapest and most competitive rate..
We are environmentalists and in whatever we do be it in our administration , we are dedicated to protecting the Environment . We have well educated, experienced safari guides who speak and Understand English and they are well trained , knowledgeable with good communication skills. Supporting sustainable and responsible tourism that helps the country. We provide the most competitive rates and yet deliver quality and special services to our esteemed travelers and holiday makers. We give you the best holiday packages with excellence, value for money and private service. Safari experts, our tours and holidays vary from short vacations to the renowned national parks in Uganda to long exhilarating vacations moving further to Rwanda, Kenya and Tanzania. In case your intention is in a gorilla trekking tour, birding watching through the attractive plains and forests of Uganda, chimpanzee trekking, game viewing or hiking to the misty mountains, we are at your service to give you the greatest alternatives. Our tour packages are accessible in all types and in the reach for every person’s budget. We also modify our Uganda Safaris and give choices, like camping tour packages, luxury tours and honeymoon holidays in the peaceful islands on Lake Victoria. Spot out our tour itineraries and inquire for the best manageable prices or more information concerning that exact Uganda Safari of your choice.